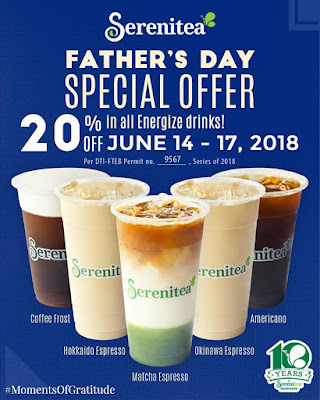 Check out Serenitea Father's Day Special Promo! 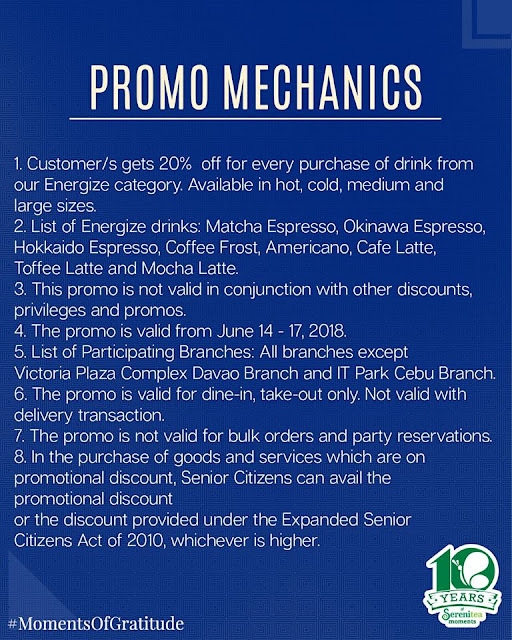 Enjoy 20% OFF in all Energize Drink until June 17, 2018. Head over to your favorite Serenitea branch NOW and celebrate Father's Day!